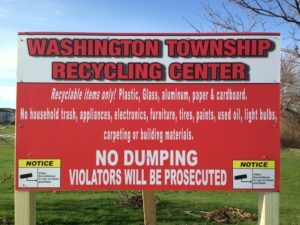 Though we mostly deal with larger plastic manufacturing concerns, we are often asked if we can recommend the nearest recycling drop-off centers in a particular neighborhood. There are several methods for finding local recycling locations nearby and, if you are very conscientious about the environment, disposing off recyclable waste can become a virtuous habit that can contribute to a greener planet. The best place to look for the nearest recycling drop-off centers is to check your local Yellow or White Pages for information. These can easily be perused on the internet now, and the information is generally more up-to-date. Better still, simply do a search for local recycling centers in your area. Use ‘recycling+zip code might be the fastest way to get results. In each instancem, be sure to give these places a call to see if they are open an what types of material and quantities they would be willing to accept. Church, school and community bulletin boards can also be a good source of information and they will also offer information about what might be acceptable by the Salvation Army or Goodwill Industries. Similarly, there are many charitable organizations that accept recyclables to promote a good cause. Donate to them regularly if you wish to contribute to this useful enterprise. If you live in Massachusetts you might want to check out the state’s Energy and Environmental Affairs ‘How and Where To Recycle’ page. Every city and town in Massachusetts is listed. Other states have similar site that can help you with finding the recycling drop-off centers nearest you. Lastly check with neighbors or local businesses. They may have some knowledge that you’ve missed.